Conforming to the tough credentials of BS EN 12727 Level 4, Zenith is one of the most rugged chairs in its class. For strength, support and thermal performance. 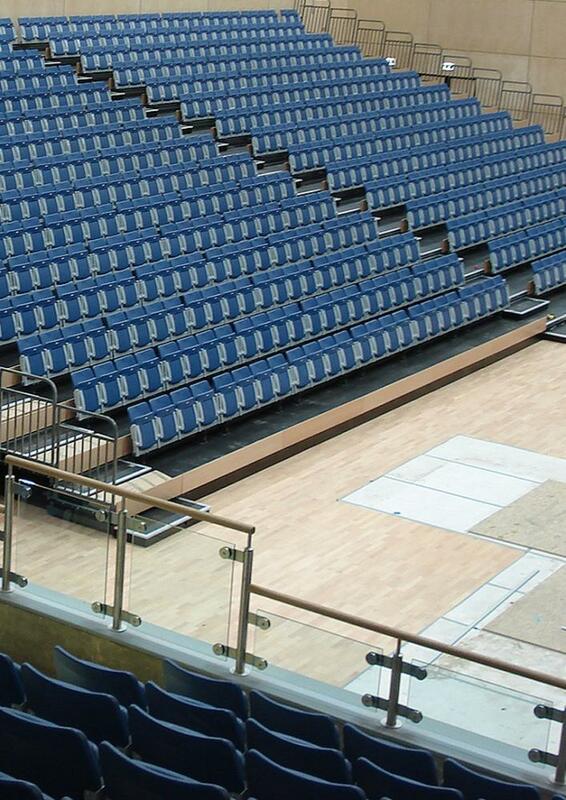 Creating safe and easy access - particularly important in high capacity venues. Zenith can be mounted on a continuous rail, which can be curved by up to 3 degrees - ideal for arenas and performance venues. The plastic has inbuilt UV retardence to resist colour fading and degradation. 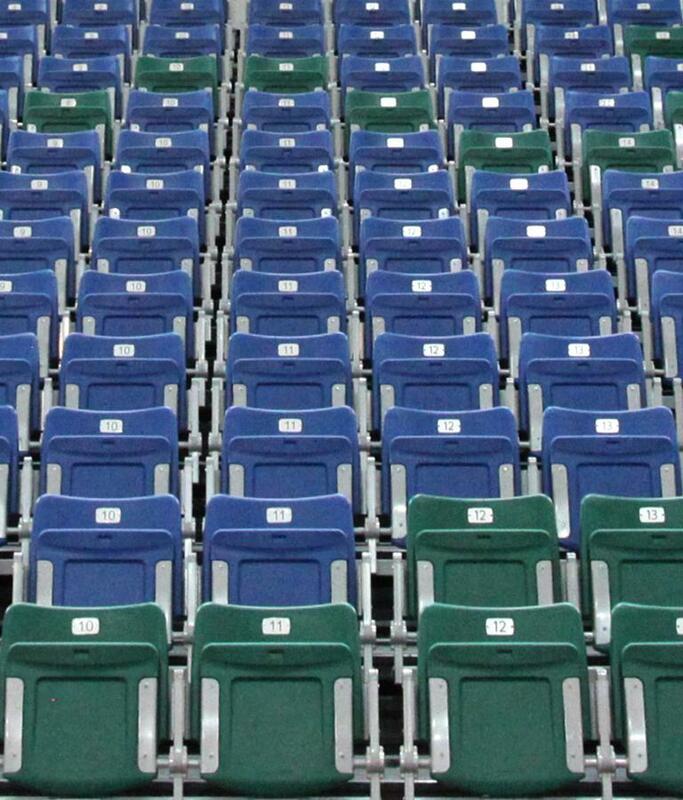 A durable choice for sporting, educational or concert environments. 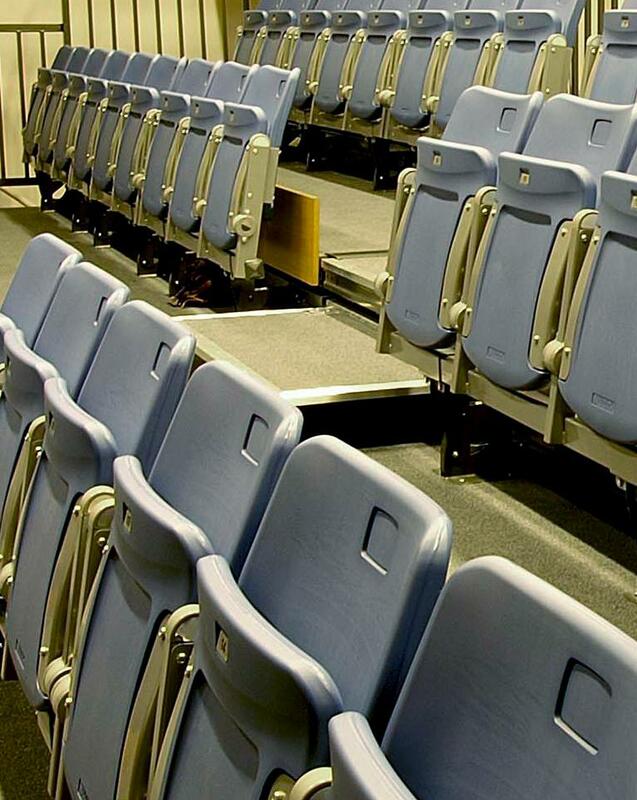 Zenith is suitable for use with a tread or riser fixing, on retractable platforms or on the removable matrix system. 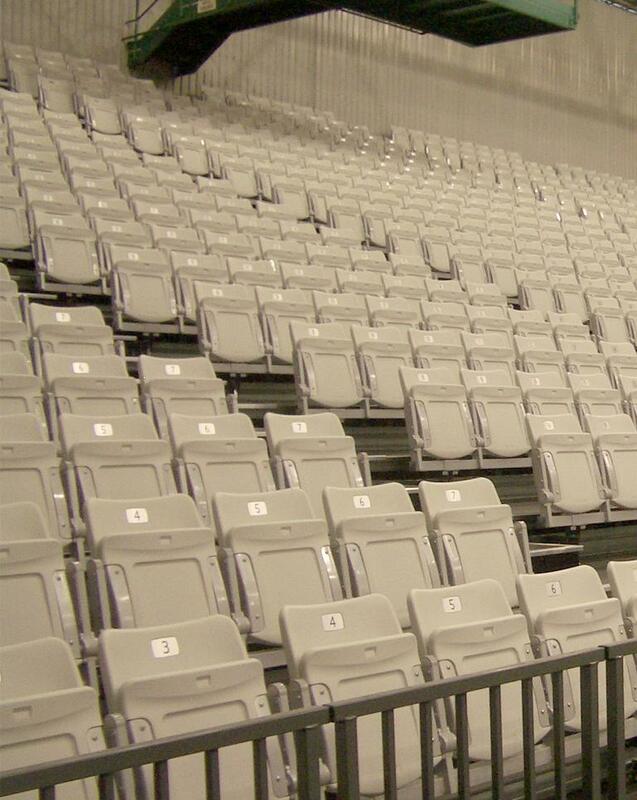 The chair has two possible positions for seat numbers. A large number can be housed on the front side of the backrest or a more discrete number can be placed on the seat pan. Row letters can also be located on the stanchions. For 450mm wide model only. 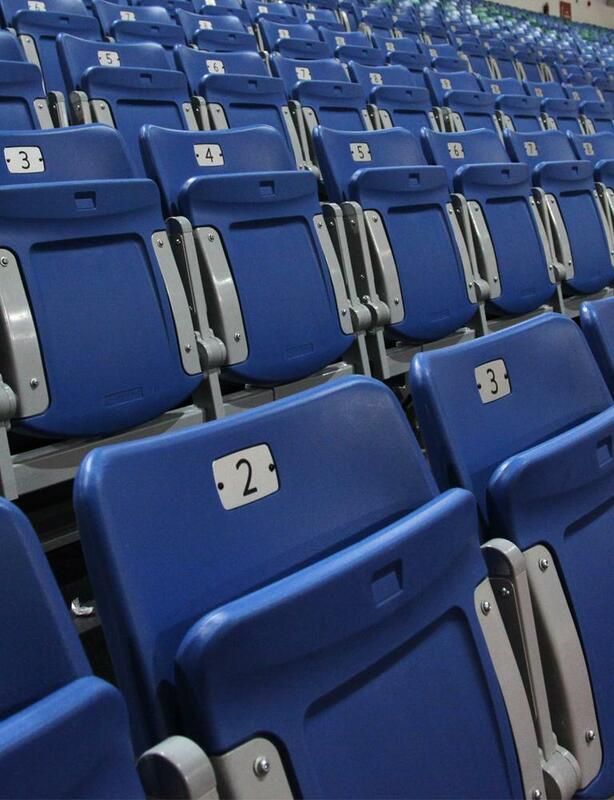 The large seat number position on front side of the backrest is also an ideal location for sponsors' plaques. In injection moulded ABS. On retractable platforms, the armrests tip up automatically as the chair folds down onto the platform. Please ask us about cupholder options.